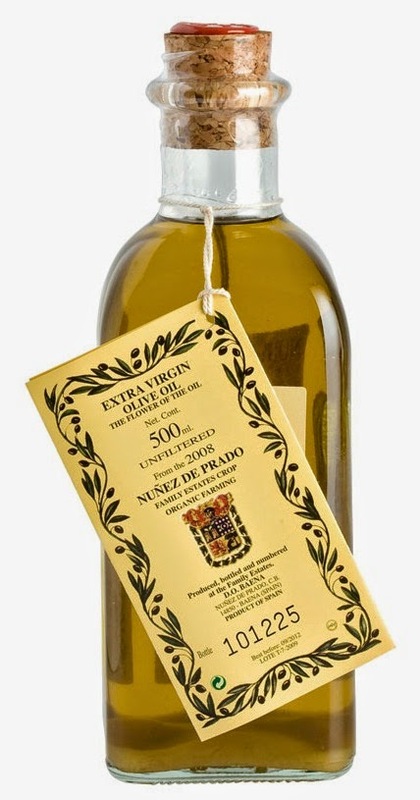 Nuñez de Prado is a legendary Spanish organic extra virgin olive oil which has long been a favourite of mine. It's lovely stuff and it only has one drawback — okay, two. The first is the red sealing wax you get as a kind of cap on the cork in the half litre bottle, which is a bit messy to remove. The second is the cost. It's a premium product, and has a commensurate price tag. Well, Marks & Spencer has dispensed with both of these objections. Since they're selling the oil in one litre tins the whole sealing wax issue is a non-issue. And the litre tins are — astonishingly — selling for about the same price as I used to pay for a half litre bottle. Consequently, I bought some Nuñez de Prado for the first time in years, and now I'm stockpiling the stuff from my local M&S. Such a great offer is bound to vanish like the too-good-to-be-true dream that it is. So, let's make the most of it while we can. I did a little taste comparison when I opened my first tin (i now own several) of Nuñez de Prado. I put it up against Ecoato, which is another Spanish organic oil, similar in colour and packaged in similar livery, right down to the red sealing wax (imitation is the sincerest, etc...). Ecoato is a nice extra virgin olive oil. It has the buttery character of a Spanish oil, but with the slightly throat-burning finish of an Italian specimen. Perfectly fine. 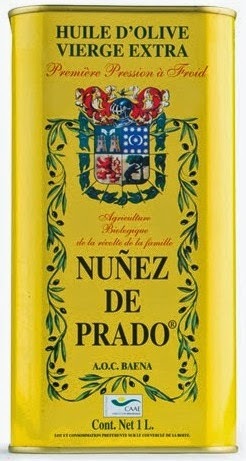 But then I tried the Nuñez de Prado. Straight out of the tin the Nuñez de Prado was stunning. There was an immediate, complex burst of flavours and fragrances. 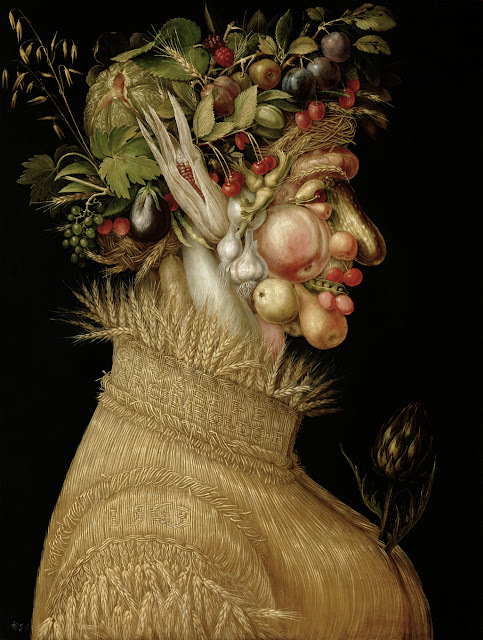 I experienced apples, almonds and a whiff of fresh growing lavender. Tremendous stuff, and available at an amazing price. Buy as many tins as you can carry.